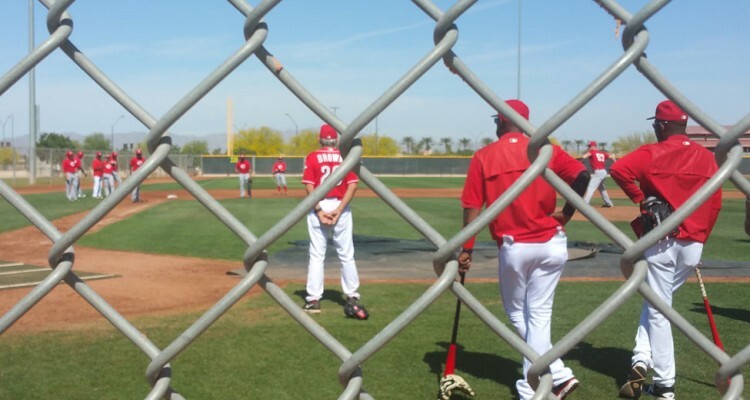 The Cincinnati Reds have already kicked off their spring training efforts. Pitchers and catchers reported for Major League spring training on Tuesday. On Wednesday that held their first official team workouts. The position players that haven’t already reported will show up in a few days. 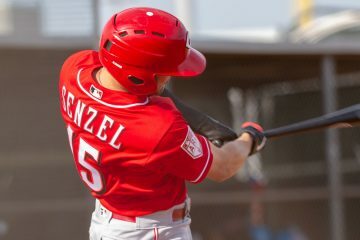 For the Minor Leaguers who are not on the 40-man roster, and those who didn’t receive an invitation to Major League spring training as a non-roster invitee, they’ll have to wait a few more weeks. For the Minor Leaguers, pitchers and catchers don’t report until February 28th. Position players don’t report until March 6th. Games won’t start until about a week after that (the schedule has not yet been released). There’s only one thing that really jumped out to me when looking over the list of players: Only two players are going to be in spring training from the Dominican Summer League Reds from 2018. 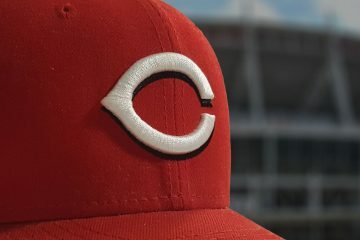 One of them is Raul Hernandez, who was one of the players injured in the car accident during the offseason that took the life of one of the Reds players in the Dominican Republic. The other player is outfielder Emilio Garcia, who was also involved in the accident. It’s possible that they are in Goodyear simply to continue their rehab. The youngest player in camp will be Claudio Finol, who won’t turn 19 until April 13th. He is one of three players that will be in camp that were born in the year 2000. 2018 draft picks Lyon Richardson and Yomil Maysonet were also born this millenium. I won’t speak for you, but I’ve never felt older. There will be 79 right-handed pitchers in camp. There are only 18 left-handed pitchers that will be in camp. That leaves 74 spots for position players. Is Fidel Castro no longer with the Reds? As far as I know he still is. Why he’s not listed here is not something that I currently have an answer for. I didn’t get this roster until very late last night. I gave it a cursory look – not an in depth one. I’m going to go over it a little deeper today and see if I notice anyone missing from the list and see if I can find out why. is Jake Turnbull still at C? I thought they moved him to 1st Base. Didn’t know Stuart Turner was still with the organization. Seems like we have some decent Catching depth past Casseli for Louisville with Farmer and Graterol in addition to Turner all having brief major league experience. Some names that caught my eye: Zeke White was the 3rd piece in the Straily trade. Still only 22 and flashed at times last year. Jonathan Crawford and Nick Howard both former 1st round picks. Crawford came over from Detroit in the Suarez trade. Taylor Sparks was a fairly high pick (2nd round? ); he’s still hanging around. I wouldn’t pay too much attention to the listed positions. While this list is from the Reds – I didn’t edit it at all other than remove some information – position listings have often been incorrect in the past and have been “old” positions for more than a few guys. That’s good about position listing. Jose Garcia listed as a 2B threw me a bit off. I was reading into that with Downs now traded that the Reds have moved Garcia to 2B more permanently, taking him off of SS. I know he did play a little 2B last year though. Does the team pay for for transportation to spring training for players? This is a good question and one that I don’t have the answer to. Maybe MK will be able to chime in with some help on this one. Yes they do. Pay their way there and home at end of season. It’s amazing that this will only be Hunter Greene’s age-19 season. Nick Travieso is 25 and Nick Howard will be 26 in April. Dang, those are some painful first round misfires. Wacha was the guy I was high on the year we drafted Travieso. He’s struggled staying healthy, but dang he’s provided a lot of MLB value already. Corey Seager went after Travieso as well, but I he wasn’t a consensus guy we passed on or anything. Man, when you put it like that it makes it even worse. Hard not to imagine where the Reds would be today as an organization had those two picks not gone so spectacularly bad. Michael Wacha couldn’t pass a physical pre-draft. I wouldn’t have drafted him either. It worked out, ultimately, but that’s not a risk I’d have been willing to take. Hindsight always helps. Mariel Bautista – At age 21 and only in Low A, this is the year where he has to start moving. There are examples of international guys who become something that are on a similar age path, but most who make it from the intl pool, show up in this level sooner. Ty Boyles – If he’s going to be a future BP lefty, this is about the time he’s going to have to start showing some results after floundering as a starter but showing some promise in the pen in 2018. 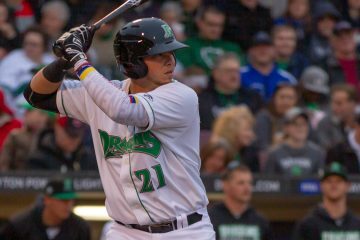 Calten Daal – Injuries have derailed what looked like a promising SS prospect. One more significant injury and that’s all folks. Might be there already, but as a SS who has shown a high contact rate, it’s tough to give up on a guy like that, especially when he’s had a lot of bad beats. Gavin Lavalley – He’s likely 1B only but maybe he can be a backup at 3B. He’s got to hit and hit and hit a lot more than he has if he is going to be more than org depth. 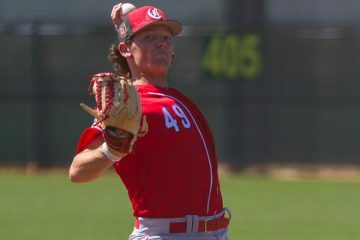 Wyatt Strahan – I’ve always liked his arm talent, but felt he was a bullpen arm all along. At age 25 it’s time to start showing some dominance that I think he is capable of if he is going to force his way into a crowded queue to get a shot in the big league bullpen. Nick Travieso – Hard to blame a guy when he’s been injured, but the next wave of arms is already starting to pass him by. Assuming he’s healthy, this may be his last shot as a starter to show something. Maybe in a bullpen role he can let it fly and focus on 2 pitches and speed up his timeline. Did Chris Okey get an invitation to ML camp? He’s on Chatanooga’s roster but not on this MiL list. Over half the AZL roster from last summer is missing including Debby Santana and Fidel Castro. I’m guessing they’re still around, just not on this list for some reason. Maybe since they won’t be considered for Dayton, they don’t have to be there until later in camp since they will be at the complex for the 1st half of the year anyway. I noticed Victor Ruiz listed at 3B instead of C.
Tejay Antone. I am really looking for good things by Tejay in 2019. He had a pretty decent rebound season last year after missing all of 2017 with TJ surgery. He got the rust off and really finished on a positive note at Daytona. His ERA is only skewed by one bad game where he got lit up on the 4th of July like a fireworks stand by giving up 9 earned runs in 1.1 IP. He had a really positive August. And now with a regular off-season regimen he should be poised for a good season. He should be starting out at AA. Chattanooga will have the makings of a good rotation with Antone, Scott Moss, and maybe Vlad Gutierrez will have to start out there at AA depending on how the AAA rotation fills out. I think the Reds will keep Despaigne around at AAA for some experience depth. That might keep Vlad at AA at least to start out 2019. But I really am looking for a great breakout from Antone. He was on the cusp of a breakout when he injured his elbow. This isn’t directed at you, but in general each year the rotation has looked good in AAA and AA and A+ but the results have not been there in the win column. Would like to see a winning org this year. It does matter. Louisville has so many starting pitching candidates, which is a good thing, but they might need to piggyback start them. Some questionable tools rankings throughout the list, Siani with a 50 Defense caught my eye. 55 run seems light too. It’s Bowden, what do you expect? Bowden never exactly was confused for someone with scouting experience. Non-roster invite to major league spring training. Doug, I know this was time-consuming … thanks for putting this together! No-roster invite Debby Santana ? What is the progress on Mark Kolozsvary? He’s due in Goodyear in two days when minor league pitchers and catchers are expected for camp.